When choosing wedding favors, make sure that you meet some basic requirements so you don't end up regretting what you got and aggravating your wedding jitters. The item you choose for your wedding favors should serve as a memoir of your wedding day so that your special day leaves a mark on your guests' memories. 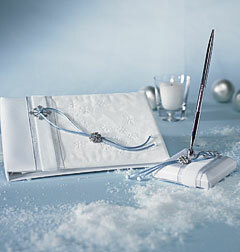 As such, you must choose items that allow for inscriptions of your names and wedding date. It must also be durable, so that it lasts for years. You should choose wedding favors that match your wedding theme. And choose items that make for great decorative ornaments as wedding favors are also intended to serve as decorations in the reception. Your choice of wedding favors should express your own unique taste and preference and your general personality and interest. Your guests should be able to get a sneak peak of the type of couple that you are through the items you choose for your giveaway. So do take the time and effort to shop for wedding favors that are unique and symbolic. You may also choose items that are potentially useful to the guests, so that they do keep and value your wedding memoirs. You should also choose items that are within your budget. You don't want to overspend and aggravate your wedding jitters in the process. With creativity, you should be able to find favors that speak of exquisite taste but come with a friendly price tag. Read on for some creative ideas that will keep your wedding favors out of your guests' dusty storage room. If you don't like the idea of giving away trinkets that your wedding guests won't use at all, then practical wedding favors are what you're looking for. You want items that your guests are likely to use on a daily basis. You will love how they will always be reminded of your special day. Key chains, pens, photo frames, and refrigerator magnets are some of the ideal wedding treats for you. 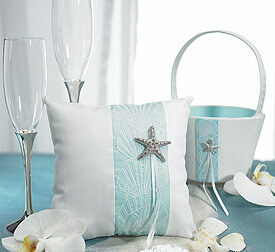 Or you can get a little creative and choose among a list of less popular but more unique wedding favor ideas: throw pillows, cookie cutters, water bottles, mouse pads, mini calculators, coasters, champagne flutes or drinking glasses, scented candles, ice cube trays, bottle openers, bubble bath, and wedding shirts. If you want your wedding reception to be the casual type where everybody is simply having the time of their lives, then you should choose wedding favors that will guarantee some extra fun in your party. Now your wedding favors will feel more like those party bags you got from those delightful birthday parties you attended when you were a little child. Do personalize these little fun stuff, though, so that your guests will keep them and don't just have them stashed away after the party. You may choose among this list of fun items for a fun-filled reception: yoyos, paddle balls, kazoos, party hats, water guns, small stuffed animals, bubble bottles, and wedding coloring books. Don't forget to encourage your guests to actually use them at the reception. Now imagine all the fun you'll have. Or you may choose to have a reception that is more on a romantic note. It is your wedding day after all. The following uniquely romantic wedding favor ideas should be appealing to you: a personalized copy of your favorite romantic book, a personalized container filled with all your favorite candies and chocolates, a book of romantic poetry or a compilation of your own compositions, a picture frame that features a love quote, a DVD that has a compilation of your favorite movies, and a CD of your favorite love songs. Or you might still want to have traditional wedding favors for your special day. Then the following items should be your favored choice: figurines, bells, hearts, doves, flowers, and dolphins. Make sure you have them personalized to give them your own unique touch. There is indeed a long list of options for your wedding favors. Deciding on a single item will not be easy. You can make it easier by narrowing down your choices to a single category. Ruminate on the general atmosphere you want your reception to be at, and take into consideration your overall wedding theme and motif. Then choose that one item that falls in the category that satisfies your own unique taste and preference.